From hands-free flushing to auto-fill tubs and appliances connected to the Internet, the latest fleet of gadgets and gizmos will make your kitchen and bathroom state of the art. An LED readout tells you the water’s temperature—no guesswork needed. 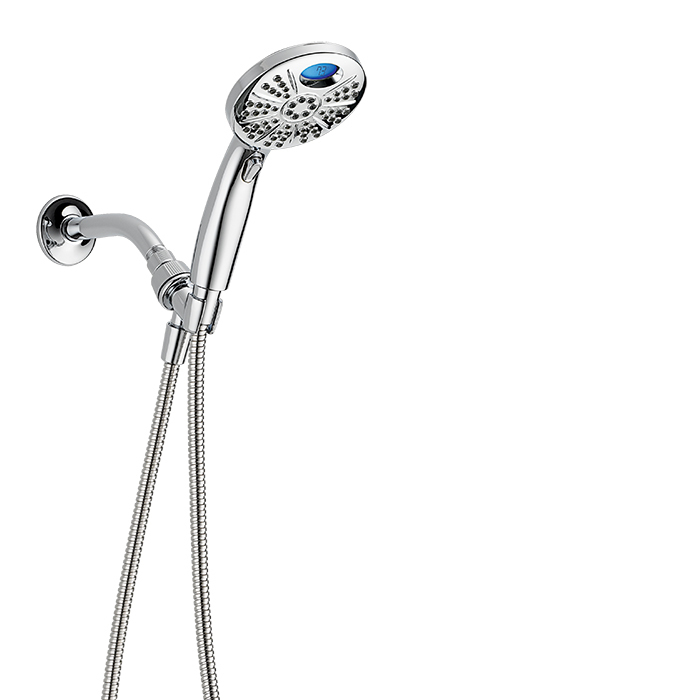 The hand shower features six spray settings and an 82-inch hose. This remote-controlled fixture allows you to fill your tub remotely to your desired temperature. Flush by waving a hand—no need to worry about what’s lurking on a toilet’s lever. To make your current commode touch-free, a retrofit kit ($100) is available. Turn brushing your teeth into a melodious moment with this design that streams music via Bluetooth to hidden speakers. The faucet turns on or off with a simple tap—a boon for those afflicted with arthritis (or dirty hands). Available in Grohe’s Starlight chrome or SuperSteel InfinityFinish.